This Bonnet uses a lot of pins to drive the RGB Matrix. You'll still have a couple left over but just be aware a majority are in use by the matrix. Unused GPIO pins include: SCL, SDA, RX, TX, #25, MOSI, MISO, SCLK, CE0, CE1, #19. Pin 24 is free if you are not using a 1/32 scan (i.e. 64x64) matrix. Pin 18 is free if using the “convenience” (vs “quality”) setting during installation. 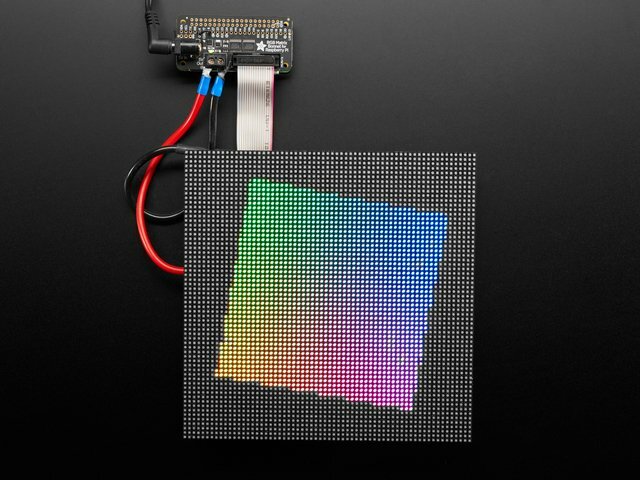 LED matrix panels require 5V power and a lot of it! 5V 2A at a minimum and you can easily need a 5V 4A or 5V 10A supply for big stretches of panels! That's if all the LEDs are on at once, which is not likely - but still, its good to have at least half for the power supply in case you get bright! 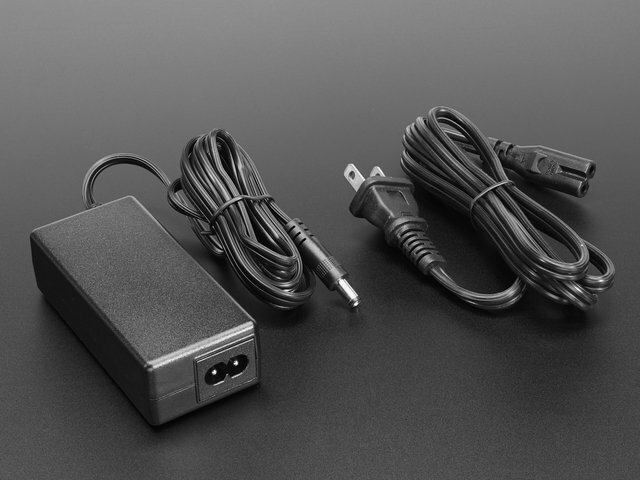 We recommend powering your driving Raspberry Pi from the Pi's microUSB port but we do have a 1A diode on board that will automatically power the Pi if/when the voltage drops. 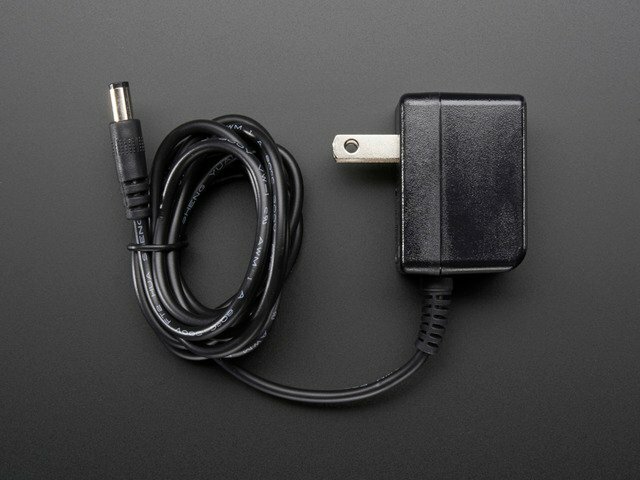 So if you want, just plug in the 5V wall adapter into the bonnet and it will automagically power up the Pi too! The green LED next to the DC jack will indicate that the 5V power is good, make sure it is lit when trying to use the bonnet! The matrix does not work like 'smart' pixels you may have used, like NeoPixels or DotStars or LPD8806 or WS2801 or what have you. The matrix panels are very 'dumb' and have no memory or self-drawing capability. This pin is part of the 1->32, 1->16 or 1->8 multiplexing circuitry. This pin is part of the 1->32 multiplexing circuitry. Used for 64-pixel tall displays only. Requires minor soldering, explained on next page. I'm using a Raspberry Pi 2 and things are all not working right! Run sudo raspi-config and in the “Overclock” options set the core frequency to 350 MHz or less. Reboot and see if the image is stable. There seems to be an issue when toggling GPIO too quickly. Also see the “Driving Matrices” page for notes about dialing back the GPIO speed. This guide was first published on Feb 14, 2018. It was last updated on Feb 14, 2018.